Chiropractic treatment is not intended to treat asthma. Many patients however have reported a reduction in their frequency and severity of symptoms after having had chiropractic treatments. Drugs are a common way to reduce, but not treat or resolve, the symptoms of asthma. They do not and cannot treat any disturbances within the nervous system. Research has suggested that there’s a connection between the functioning of the respiratory system, nervous system, and the overall spinal column. It is possible that this is why many chiropractic treatment patients appear to have an easier time breathing after receiving care of this kind. Have you noticed that there seem to be even more asthma cases now than in the past? It may be the result of increasingly poor environmental factors. In recent times, we’ve become accustomed to living in highly modernized homes… but these homes also tend to hold in the negative chemicals just as much as they keep them out, and these can possibly include mold or other irritants. While it’s likely that these aren’t the only issue which leads to asthma, it is an important consideration to make. Chiropractic treatment is generally used to target muscle groups. One muscle in the body is the diaphragm, and it’s responsible for regulating your breathing. Nerves are responsible for controlling the diaphragm and how it responds to your necessity for air. Spinal problems can thus impact the respiratory system. Subluxations can affect the spine, and once reduced or eliminated, the nervous system can return to its previous high-functioning state, including its regulation of the lungs and breathing systems. Multiple research sources have indicated that persons who have asthma may benefit in some situations from undergoing chiropractic treatment from a qualified medical professional. 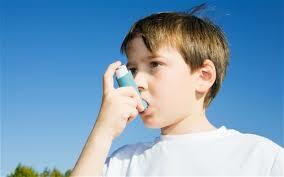 Some studies have even gone so far as to show that asthma “attacks” can be reduced by nearly half. It is believed that this is the result of improving the nervous system’s control over the respiratory system by reducing or removing any potential problems. If you or your child suffers from asthma attacks or any other kind of bodily regulation issue which the nervous system is responsible for, a chiropractic treatment regiment may provide some degree of benefit. If you have subluxations, these are almost always the cause of much physical discomfort or pain. Learn more about how chiropractic treatments might be able to help you or your family.